I have a saying when running an RPG. "The players will always choose truck tire." That is to say, if given the option of A, B, or C (and sometimes D, E, and F) for what they can do, they'll choose truck tire. What does "truck tire" have to do with any of the previous options? Nothing. It's not even in the same alpha-numeric system. It's then a process of deciding if truck tire is actually a realistic solution (as much as "realistic solutions" when dealing with dwarves, elves, magic, and so forth), and if so, how to go about changing the game to make it work. But what if the players had control over the story as much as I did? 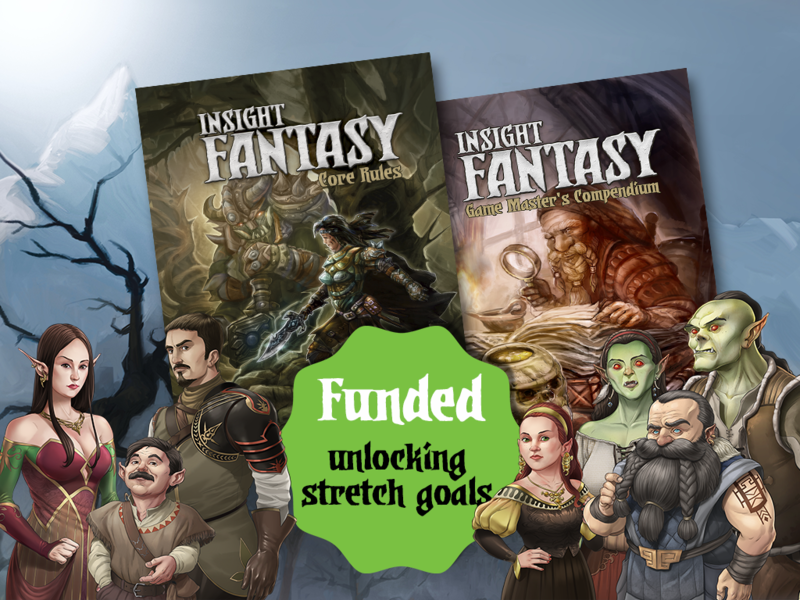 Well, that's what can happen in the Insight RPG, which is up on Kickstarter now. The game takes several departures from conventional RPGs. There are no classes in the game. Instead, players use the lists of skills in order to create the character they want to make. When doing Actions, you combine a main skill with a bonus skill before making your roll to see if you're successful. Along with that, as I mentioned, the players can uncover secrets about NPCs and locations that will alter the world that the players are playing in. The campaign is already over their funding goal, so they're looking to make it through some stretch goals in the next 17 days.